Want a creative way to display your engagement, vacation, or family photos? 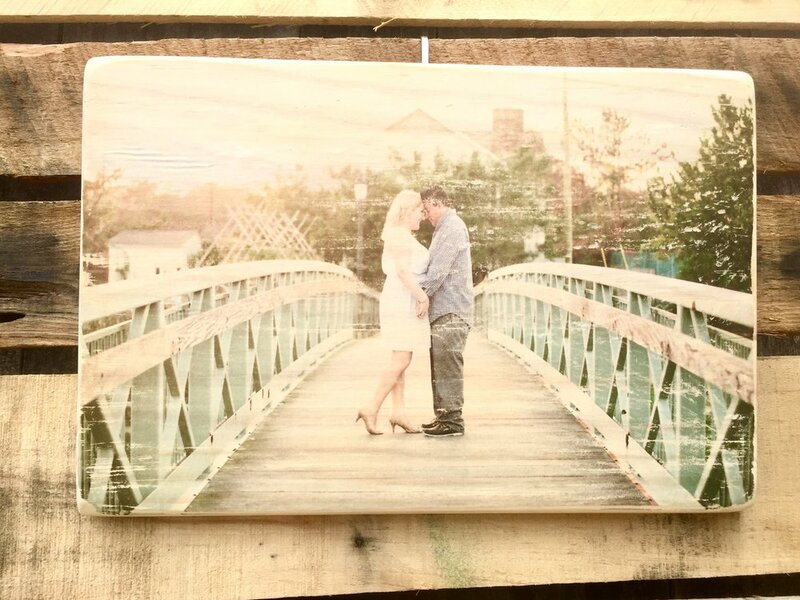 Seventeenth Street Designs can transfer any digital photo on to a solid piece of pine wood. To order your own custom photo transfer all you need is a digital copy of the image. If you click the link below, you will be directed to a form. Here you can choose the size of your transfer and include any special requests. After this is submitted, you will be given a link to upload your image to dropbox. I will email you, confirming the size of your transfer and any special requests. This email will also include your personal listing to pay for your sign. Once I receive payment, it takes 10-14 days to make your sign. You will receive an email once your sign is shipped, including tracking information. All sizes are an approximation - Actual sign size with depend on the original image size. Interested in custom writing on your transfer? For an additional $5 I can write a name, date, location, etc. Have an event coming up? Wedding, baby shower, graduation? Seventeenth Street Designs can work with you to create the perfect custom sign! All signs are painted by hand, no stencils or vinyl is ever used. This makes every sign truly unique! Have an idea for a custom sign? Click below to get a quote!